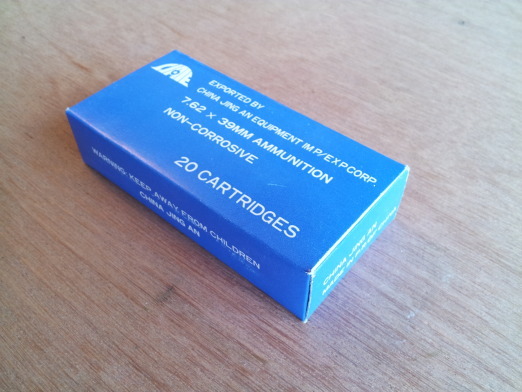 The 7.62x39mm cartridge was developed in the Soviet Union during World War II. It was intended for use in a wide range of infantry weapons including a semi-automatic carbine, a select-fire rifle, and a light machine gun. After the end of that war the AK-47 and SKS rifles were designed to fire the 7.62x39mm round. The cartridge is still in use around the world. During World War II the Soviet Red Army used the Mosin-Nagant, the "3-Line Rifle" or Винтовка Мосина, firing the 7.62x54mm R cartridge. The Mosin-Nagant rifle had been designed by Sergei Ivanovich Mosin in 1889, in reaction to the heavy casualities suffered by the Russian Empire's forces during the Russo-Turkish War of 1877-1878. The design was based on the линия or liniya, a unit of measurement going back to Peter the Great. 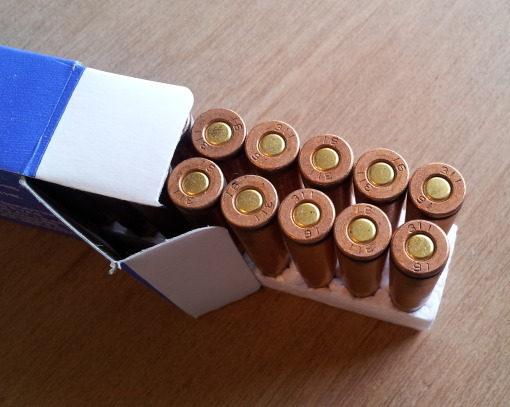 So, it was high time for a new rifle firing a new cartridge. The Техсовета Наркомата Вооружения, the Tekhsovieta Narkomata Vooruzheniya or Technical Council of the People's Commissariat for Armaments met in July, 1943, and officially called for a new cartridge design. The design committee was assisted by leading weapons designers including Fyodor Tokarev and Sergei Simonov of the Design Bureau of the Tula Arms Plant. The same meeting called for the development of the weapons to fire the new round, leading eventually to the AK-47 in 1947 and the SKS in 1956, designed by Tokarev and Simonov, respectively. Several variants were tested, over 300 cartridge designs. One of those, influenced by the characteristics of the U.S. M1 Carbine and the German Mkb 42(H), was officially selected in December of 1943. The new cartridge had been designed, tested, and selected at least provisionally within six months of the initial call for designs. Further testing and minor design changes continued until the 7.62x39mm design was finalized in March, 1944. The result was a rimless bottlenecked case rated for 45,000 PSI (310 MPa) by SAAMI and 355 MPa (51,490 PSI) by C.I.P. with a case capacity of 2.31 ml. It fired a full metal jacketed bullet of 7.9 grams (122 grains) and a muzzle velocity of 718 meters per second for 2,036 J energy. The bullet was redesigned to a boat-tail shape, which improved accuracy at both long and short ranges. 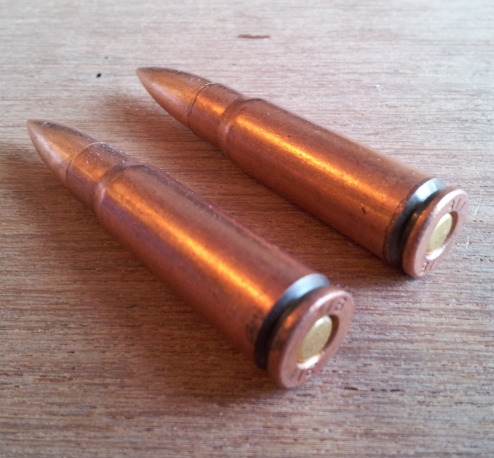 The bullet was made from a core of mild or low-carbon steel with a lead wrapper, the "7.62 ПС" bullet. It was placed in a bimetallic case of steel and copper, what the Soviets designated the 57-Н-231СЛ (or 57-N-231SL in Latin characters). 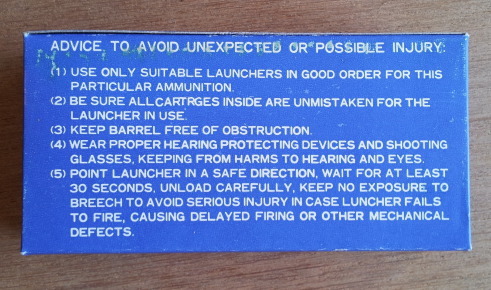 See this site's pages on Soviet ammunition designations and military surplus ammunition labels for more details on Soviet military ammunition nomenclature. 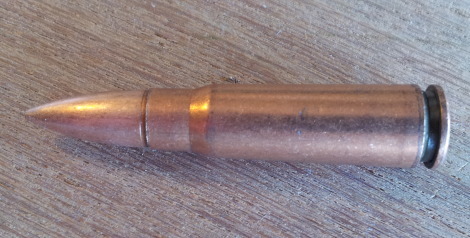 The Soviet military production cartridge was designated as the M43, with a 123-grain (or 8.0 gram) steel-core copper-plated bullet with a boat-tail shape. The cartridge has a significant taper, making for more reliable feeding and extraction. This leads to a distinctively curved magazine, called a "banana clip" by those who don't know the difference between clips and magazines. The AK-74 fires the 5.45x39mm cartridge with a more cylindrical case fed from a much more straight magazine. 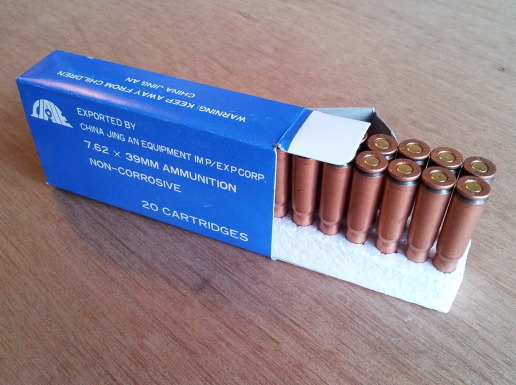 China has produced M43-style 7.62x39mm ammunition, using a mild steel core bullet with a thin copper or brass jacket. Here are some from the Jing An Equipment Import/Export Corporation. 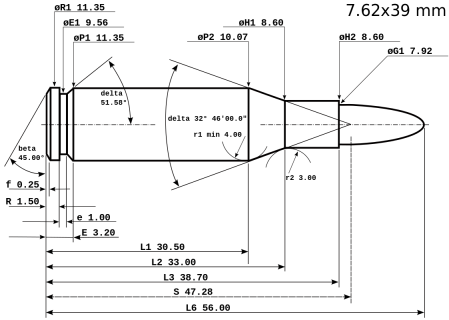 The steel core gets the round categorized as an "armor-piercing handgun round", despite its limited ability to penetrate armor and the lack of handguns capable of firing it. This classification means it can no longer be imported from China. 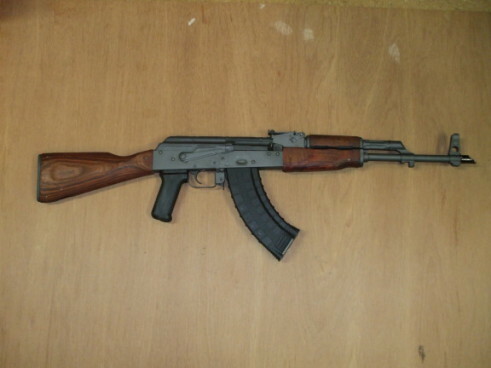 The AK-74 rifle was designed for use with the 5.45x39mm cartridge, which is replacing the 7.62x39mm. But meanwhile the Armed Forces of the Russian Federation still us the 7.69x39mm cartridge in AK and AKM rifles and in AK-derived light machine guns. 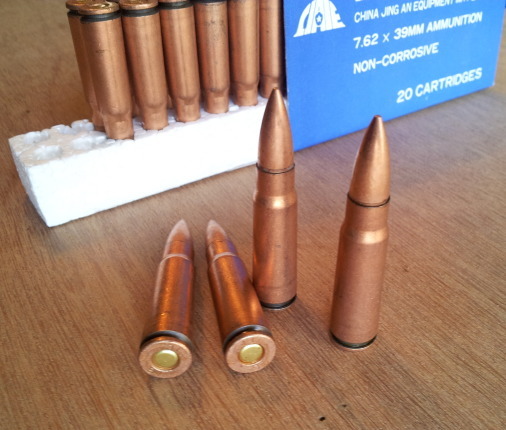 The 7.62x39mm round is roughly equivalent to the Winchester .30-30 round, and so both surplus weapons chambered for 7.62x39mm and domestic designs rechambered for it have become popular in the U.S. The SKS and various AK-47 derivatives have become popular in the U.S., with the SKS becoming the "poor man's deer hunting rifle" in the former Confederacy. Ruger's Mini-30 is a 7.62x39mm variant of their Mini-14, itself a scaled down and modified M-14. CZ-USA, Remington, and Savage have produced bolt-action rifles firing the 7.62x39mm round.